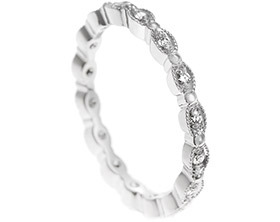 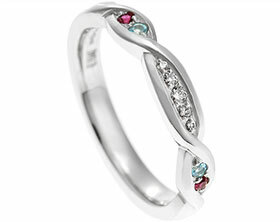 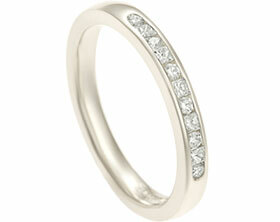 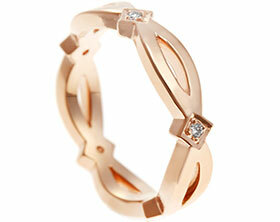 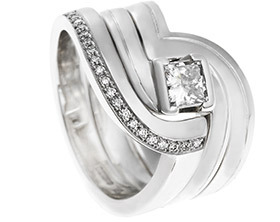 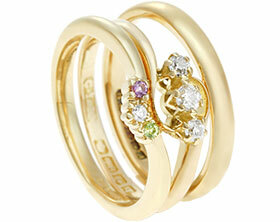 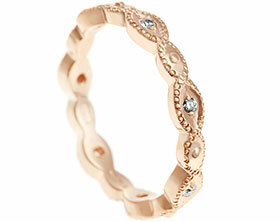 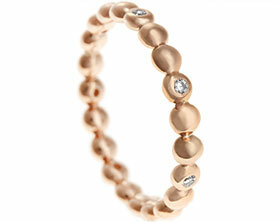 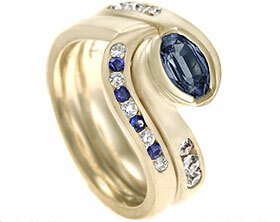 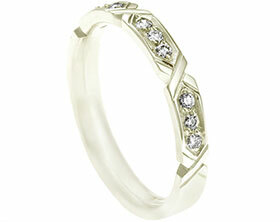 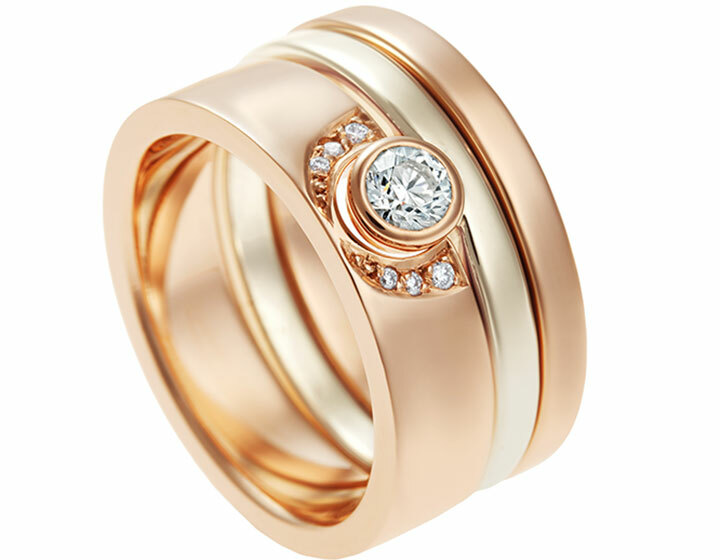 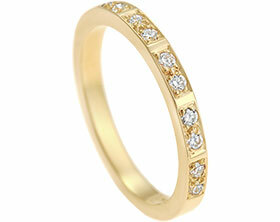 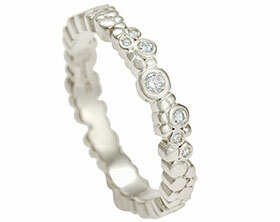 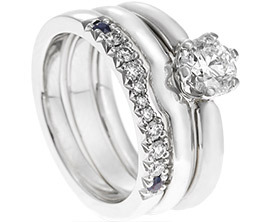 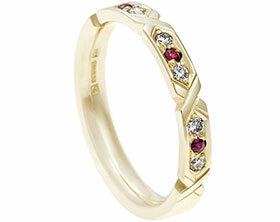 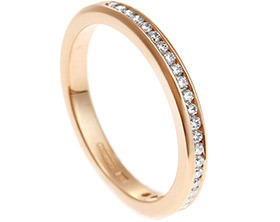 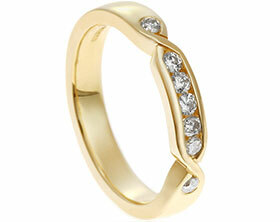 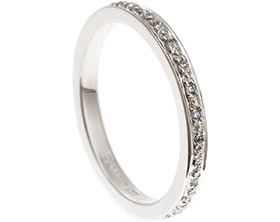 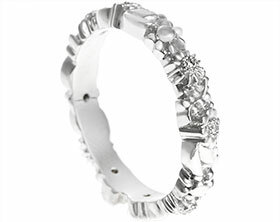 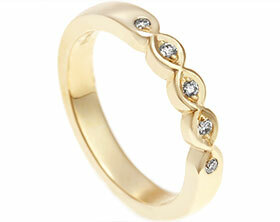 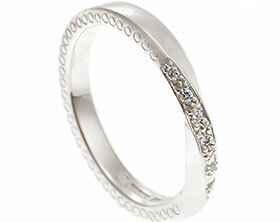 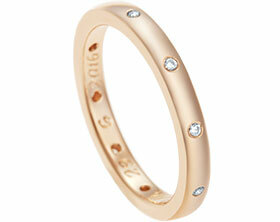 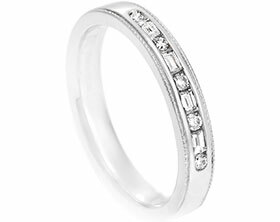 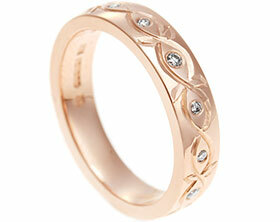 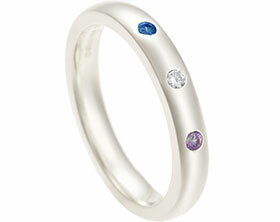 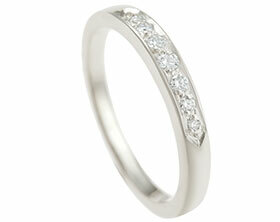 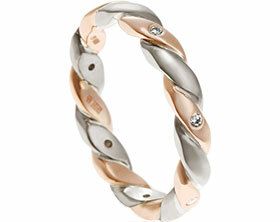 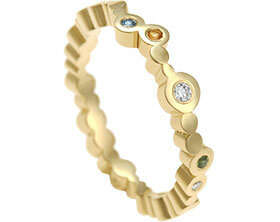 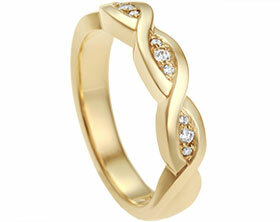 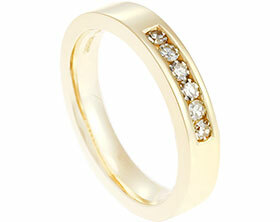 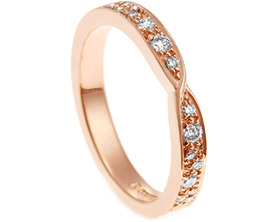 This beautiful eternity ring was designed by Harriet Kelsall and inspired by ripples on water. 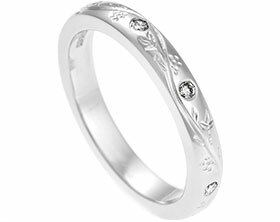 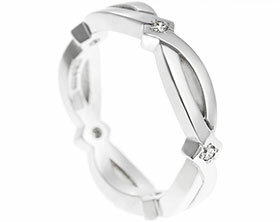 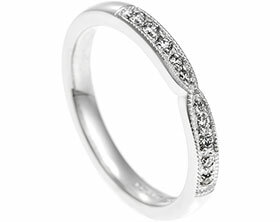 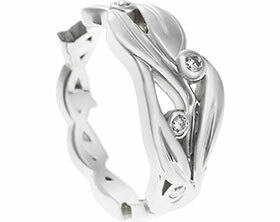 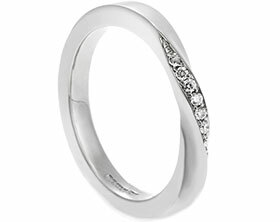 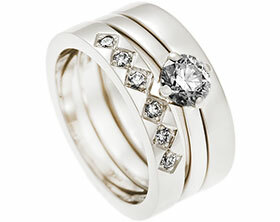 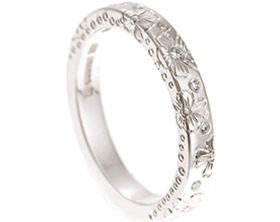 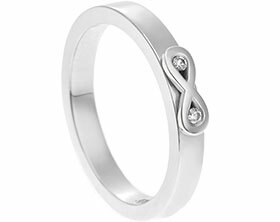 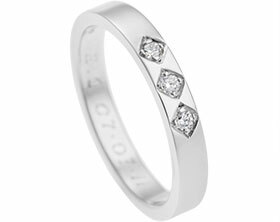 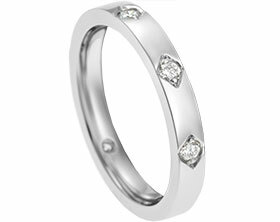 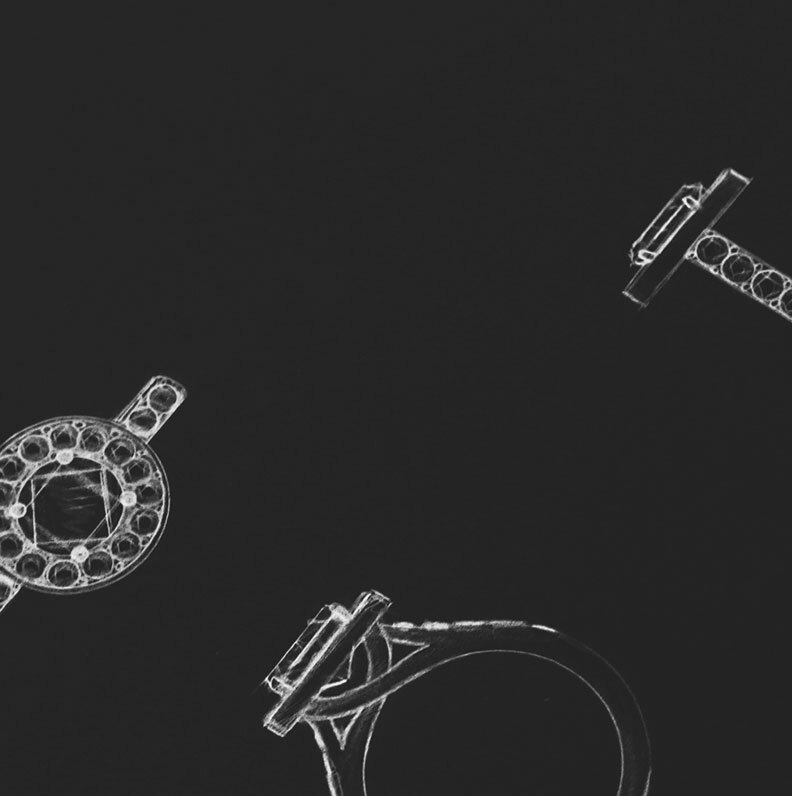 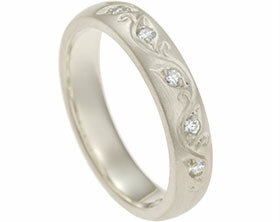 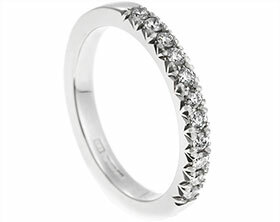 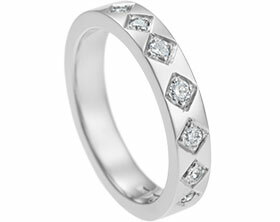 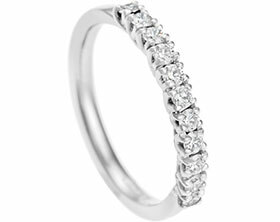 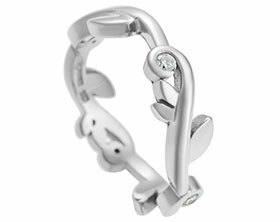 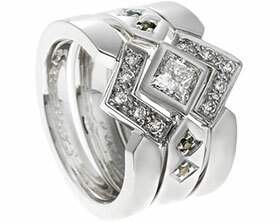 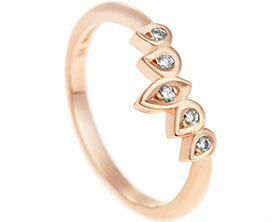 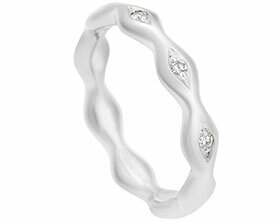 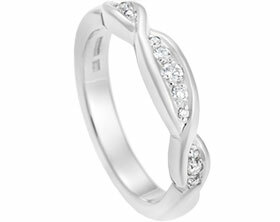 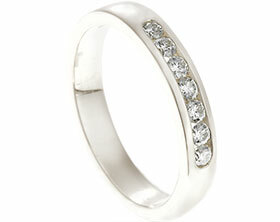 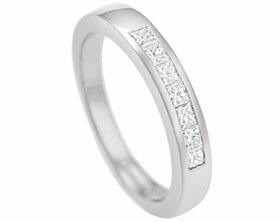 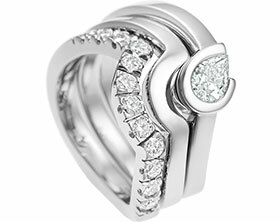 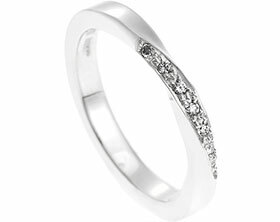 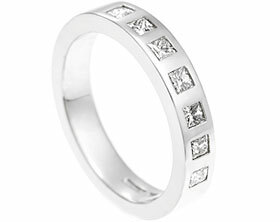 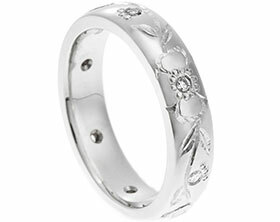 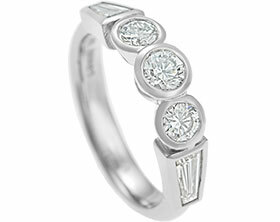 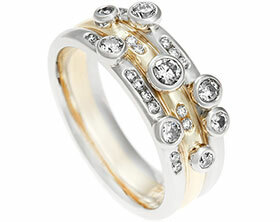 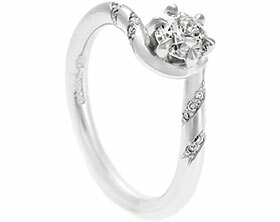 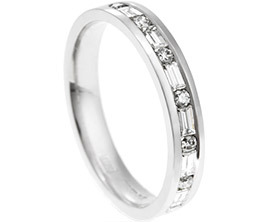 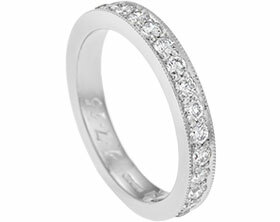 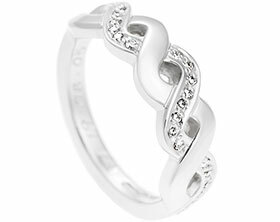 It is hand made from 9ct white gold which has been rhodium plated to give it a bright white colour. 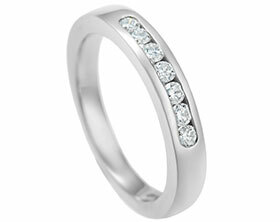 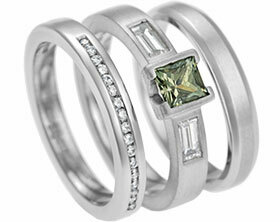 This bright colour works perfectly with the white colour of the four H SI diamonds which total 0.068ct. 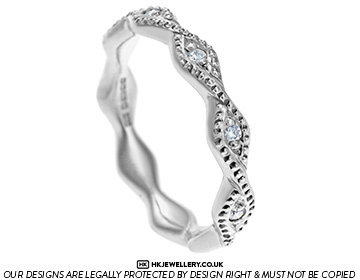 This band has a rounded feel to the profile both inside and out and the little almond shapes echo the rippled shape of this band, The ripples are then further emphasised by a beautiful mill grain twisting detail hand engraved on the edges creating movement within the design. 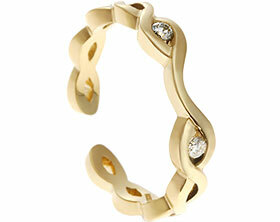 Inspired By ripples on water.